Infuse a little spring in the old pad with some jolly pillows! 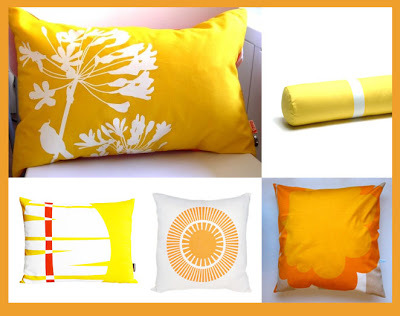 And if you like bold, vintage textiles you must check out absoluute’s store – all the way from Amsterdam, but still only $5 for shipping – now that’s a sunny delight! : radial, $70, hybrid home – love, love, love hybrid!